For the disciples of the Master, Shavuot already carried extra significance as the fiftieth day since His resurrection. He was the first fruits of the resurrection. The disciples and followers of Yeshua were themselves the first fruits of His labor. On Shavuot, they added 3,000 souls to their number and the great harvest of men began. The story of Acts 2 depicts the early disciples of Yeshua still engaged in the biblical calendar, keeping the LORD’s appointed times as prescribed by the Torah of Moses. Unlike later Christian tradition which discarded the biblical calendar with its weekly Sabbaths and holy days, the early disciples remained steadfastly Torah observant, even after the resurrection of our Master. “Chronicles of the Apostles” takes students on a year-long study of the book of Acts with Messianic commentary and Jewish insights into the Epistles. Follow the lives and adventures of the apostles beyond the book of Acts and into the lost chapter of church history. Study Jewish sources, Church fathers, and Christian history to reveal the untold story of the disciples into the second century. All of them were gathered with one heart. So begins my year-long study of the Apostolic writings from Acts and other sources, which runs in parallel with the annual Jewish Torah reading cycle. I say “parallel” rather than a more closely connected link because, although this study in Torah Club is to be read for the Torah Portion Noach (Noah), they have little, if anything to do with each other. Noach doesn’t speak of Shavuot or the giving of the Torah at all, which are events that occur much later in the Torah narrative. And yet perhaps this is a good thing. In traditional Christian Bible studies, the New Testament is given overwhelming preference with maybe a slight nod to the Old Testament, but almost certainly not the Torah (the Five Books of Moses). In the Hebrew Roots movement, where I have spent most of my history as a believer worshiping God and studying the Word, the Torah is given the greater preference, even though we are followers and disciples of Jesus, the Jewish Messiah. I think it’s good to try to even the scales, so to speak, and give equal time to all of the different portions of the Bible. A traditional Jewish Torah reading will present from the Torah and the Prophets. Few synagogues also offer the opportunity to read the Psalm for the week, but each Torah Portion has a corresponding Psalm (Psalm 29 in the case of Noah). First Fruits of Zion (FFOZ) has also created a schedule of Gospel readings that map to the readings of the Torah, but the later portions of the Apostolic scriptures are largely ignored, at least formally. In my “previous life” as a teacher in my former “One Law” (part of Hebrew Roots) congregation, I created an alternating cycle where for one year, Matthew through Acts was read along with the Torah cycle, and the next year, Romans through Revelation was read. So in two years, the congregation would go through the Torah twice, through the traditional readings of the Prophets and the Psalms twice, and through the entire New Testament. Imagine how much you would absorb after a decade of repeatedly reading and hearing read the vast majority of the Bible. But reading and hearing read is one thing (or two things) and studying is something else. Here, FFOZ and D. Thomas Lancaster offers the Torah Club student (or class, since this material is designed to be used in a small group study) the opportunity to “dig deeper” into the scriptures and to learn how familiar passages in Acts are married back to the Torah, as well as to the Prophets, other portions of the New Testament, and as the study progresses through the annual cycle, to extra-Biblical learned texts as well. Today, I am learning about the Acts of the early Jewish Apostles, This lesson is about the 3,000 Jews, many probably from the diaspora, who were in Jerusalem for the festival of Shavuot (Pentecost), which is held in the late Spring, and who came to receive the Spirit of the Lord and to come to faith in Jesus (Yeshua), the Jewish Messiah, the Son of the God of Israel, the redeemer of Israel and the world. The disciples were all “filled with the Holy Spirit.” The Torah uses the same terminology to describe the endowment of God’s Spirit on Joshua, Caleb, Bezalel, and Oholiab. In those examples, the Torah likens a human being to a vessel. God’s spirit can fill a human being like water can fill a jar. But we have this treasure in jars of clay, to show that the surpassing power belongs to God and not to us. We are afflicted in every way, but not crushed; perplexed, but not driven to despair; persecuted, but not forsaken; struck down, but not destroyed; always carrying in the body the death of Jesus, so that the life of Jesus may also be manifested in our bodies. For we who live are always being given over to death for Jesus’ sake, so that the life of Jesus also may be manifested in our mortal flesh. 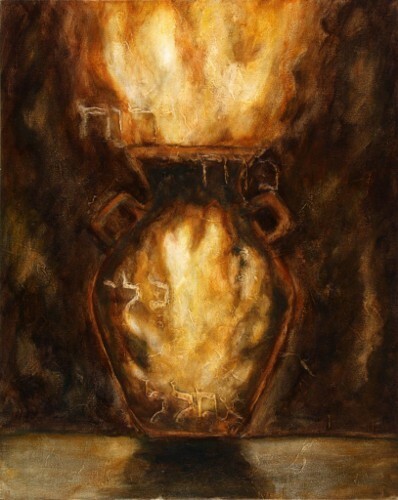 So aren’t we all fragile jars of clay containing an unimaginably valuable treasure of the Holy Spirit of God, through our Master and Messiah Jesus Christ? Acts 2 describes the giving of the Spirit to thousands of new Jewish disciples of the Messiah on the day of Shavuot. Is it too soon to bring in the idea that we among the nations were also to receive the Spirit? Perhaps I can also extend the lesson and the metaphor of “jars of clay” to include Gentile God-fearers like Cornelius and his transition into what was later known as Christianity through accepting discipleship under Jesus Christ…and also bring Noah into the lesson. As we saw in Acts 10, Peter, the Jewish Apostle, was astonished to discover that the Spirit of God would also come upon the non-Jew who accepted Christ, just as it came upon the Jews during his experience of the events recorded in Acts 2. It had never occurred to him before that such a thing was even possible. What a wonderful God who can also save the children of the nations as well as the Children of Israel. 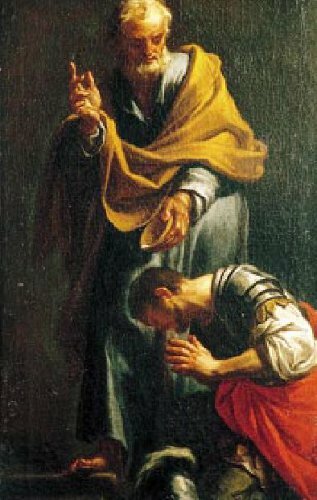 At Caesarea there was a man named Cornelius, a centurion of what was known as the Italian Cohort, a devout man who feared God with all his household, gave alms generously to the people, and prayed continually to God. The Roman Centurion Cornelius and his non-Jewish household were known as “God-fearers,” non-Jews who had come to the realization that the God of Israel was the God, the One and only, the Creator. In that realization, they came to faith, abandoned the pagan idols of Rome, and gave homage to God only. Often, non-Jewish God-fearers would worship in the synagogue on the Sabbath. Many took on some of the other Jewish religious practices of the day, including the daily prayers, and even, to a degree, a Kosher observance (for Peter to break bread in Cornelius’s house, this would have to be true in his case). But would a Gentile simply walk into a Second Temple era synagogue on Shabbat and inform the Rabbi and other Jews that he intended to worship the Israelite God with them? How was this done and under what status would a Gentile appropriately do such a thing? Recall Genesis 9 and the covenant God made with Noah and all of his descendents which, by definition, includes all of humanity. The concept of the Noahide was not formalized, as we understand it today, until the Talmudic era, many centuries after Cornelius and Peter walked the earth. However, the covenant of Noah would have been well-known among the Jews and it’s not beyond reason to believe that a man as devoted to God as Cornelius would have learned or been taught that anyone from among the nations stands before God as subject to the covenant with Noah. Perhaps, though not called or even thought of as “Noahides,” many of the Gentiles who would later receive the Spirit and be baptized by water in Christ’s name, were nevertheless, viewed in such a manner, as God-fearing men and women who had heard the distant words of God to Noah at Ararat, and thus, believed. Based on this reading, Lichtenstein argues that the formula (see Acts 2:38) is not a baptismal confession but a statement of purpose. The disciples were to immerse people for the sake of declaring their faith in His messianic identity. Their immersion for His sake signified their entrance into His school of disciples and their allegiance to Him. This interpretation of the meaning of baptismal immersion signifies the crossing of a barrier for the non-Jewish adherents to the God of Israel, from God-fearers and possessors of the covenant of Noah, to disciples and people granted entrance to much greater covenant blessings under Messiah Yeshua. 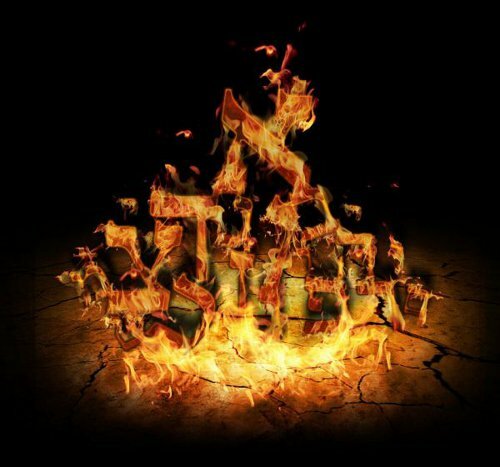 In the events of Acts 2 and during the festival of Shavuot, every Jew present would be constantly reminded of the giving of the Torah at Sinai, of the awesome voice of God thundering from the smoke and fire, of the top of the mountain, smoldering in unspeakable tongues of flame. 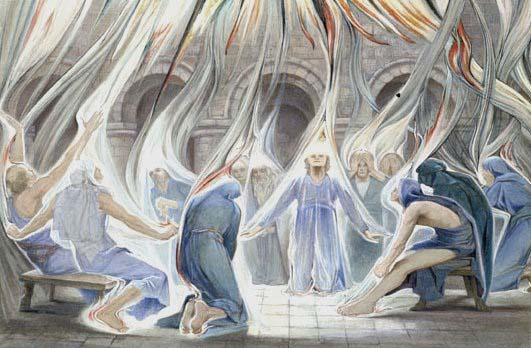 When the Spirit of God manifested as “tongues of fire” and rested upon the disciples of Moshiach at Solomon’s Portico, and they spoke in the many tongues of men and the languages of the nations, how much more significant was that Shavuot and all those that followed in their annual procession, to the older and newly made disciples? And when Peter saw that even the Gentiles could receive the Spirit, the greater mysteries of God’s work among all the world, linking Noah, to Moses, to Jesus, unfolded like an infinitely wide cloth, spilling amazing treasures across history, from Creation and into the future that even we now inhabit. Admittedly, I’ve far exceeded the content of this part of volume 6 of the Torah Club in this “meditation,” (though I’ve included only a tiny fraction of what the over 20 pages of lesson notes – not to mention the accompanying audio CD – for this single teaching have to offer) but once I start learning, the connections to many other sparks of God’s wisdom were inevitable. If you continue to follow me in these studies or to embark on your own through the Torah Club, this will happen to you as well. Believe me, if you encounter the wealth of information in just this single study, it will illustrate to you that what you thought you knew about the events of Acts 2 only scratches the surface of what is actually there. As humble and empty jars of clay, in seeking God and studying His Word, we desire to become filled with His Spirit and His Wisdom, every day, on each encounter with Him, and across all of our years. …and that repentance and forgiveness of sins should be proclaimed in his name to all nations, beginning from Jerusalem.